Product code: ES6815 Categories: Sold Items, Sold Rings. Here is a very attractive antique sapphire and diamond ring made in 1902 that looks as beautiful today as when it was made. It is incredible to think that this ring is well over 110 years old and can still so easily be worn every day and this is just one reason why there is nothing like an antique ring to adorn your finger. 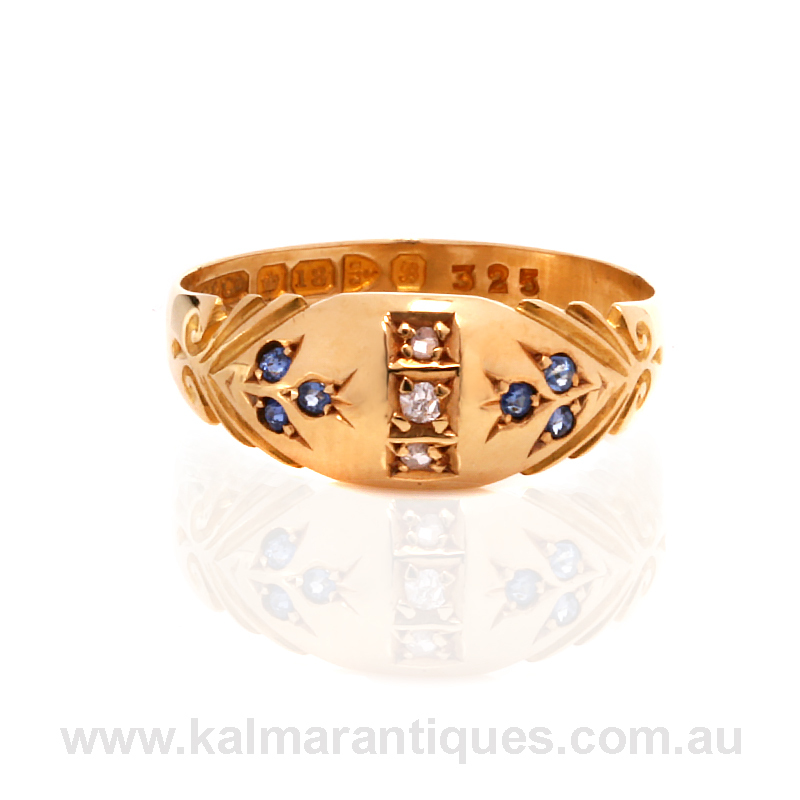 Made in 18ct yellow gold, the ring is set with three sapphires on each side with three diamonds running down the centre. Tapering from 7.5mm wide where the diamonds are, down to 3.5mm wide at the back, the top of the ring also has a very subtle yet elegant domed top that feels so lovely on the finger. This is a wonderful example of an antique sapphire and diamond ring from the Edwardian era that is in excellent condition and still looks so beautiful. Tag: Antique sapphire and diamond ring.